If the phone display remains on the screen, please do the following. 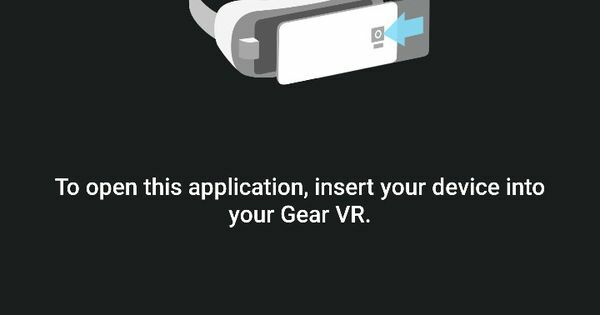 "To open this application, insert your device into your Gear VR"
Make sure the GearVR headset is properly configured. Often, the phone is properly connected to the GearVR device. Either the USB adapter isn't connected fully or the positioning (A or B switch) isn't properly set. Please the official Samsung website for instructions.